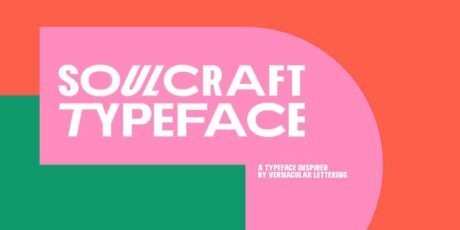 Soulcraft is a variable font designed with the idea of emulating vernacular lettering. 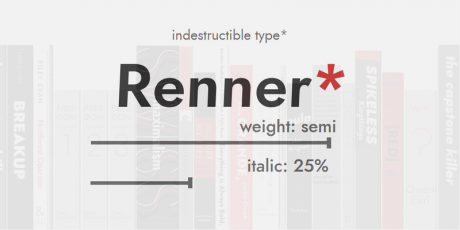 Since it is a variable font, the user is able to change the width and slant of each individual character without relying on pre-defined font weights, and giving an energetic, unapologetic and dynamic feeling to the compositions made with the font. Designed by Erick Donate, Jean Wojciechowski, and Marcelo de Costa from Massimo Studio. 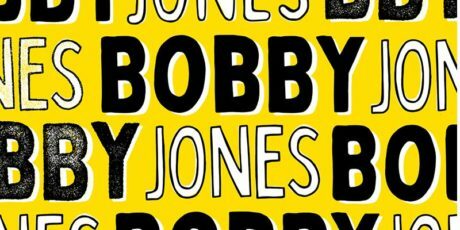 Bobby Jones is an irregular display font oozing with personality. 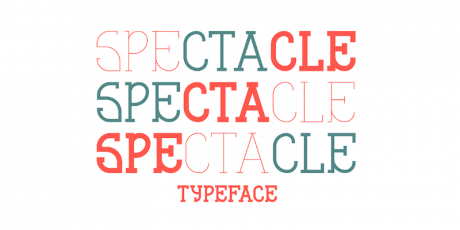 The font contains all-caps characters with soft and rough styles and outline variations for each style. It can be used for ad campaigns, logo designs, apparel, printed stationeries, and more! 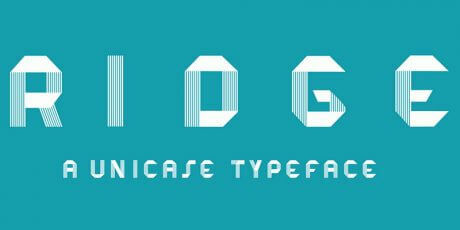 Designed by Behance user Tom Chalky for Pixel Surplus, free for personal use only. 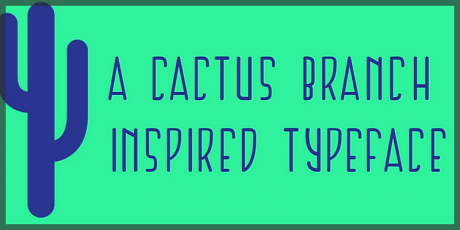 A headline font with a linear stylish structure and over 150 glyphs. It includes alphabet in uppercase, numbers and lots of special characters with diacritics to complement the support with additional languages. 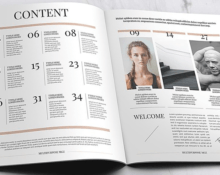 Designed by mikkonuuttila, free for commercial and personal projects. 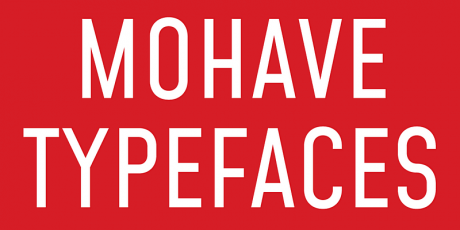 An all-caps typeface with a general bold structure and sort of oblique serif endings. The font should work on both Windows & Mac OS with support for over 26 languages, 194 diacritics, and 4 styles (Regular, Italic, Bold, Bold-Italic). 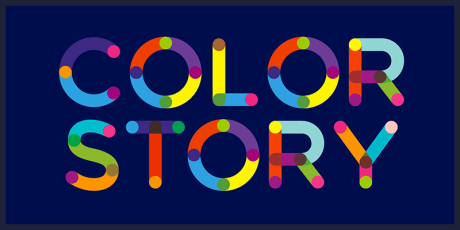 Designed by Behance user Gabriela Bury, and it's free for personal and commercial use. 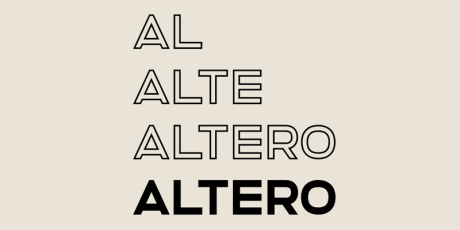 Altero is a font with a bold look, perfect for designing headlines, banners, ads, posters and more. It comes in two styles (Regular and Outlined) and contains 505 glyphs, including uppercase letters, numerals, and symbols with support for 91 languages. 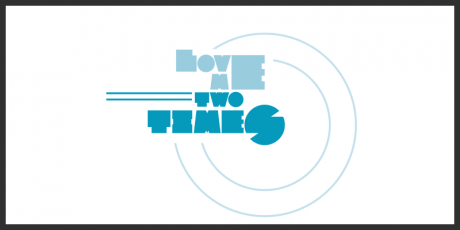 Designed and released by Stefano Giliberti, free for both personal and commercial projects. 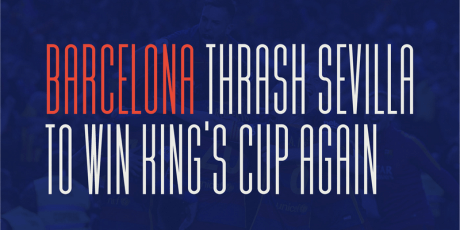 A sports display font with a modern approach and diagonal cuts in the structure of the characters. It contains All-Caps letters, numerals, and symbols. 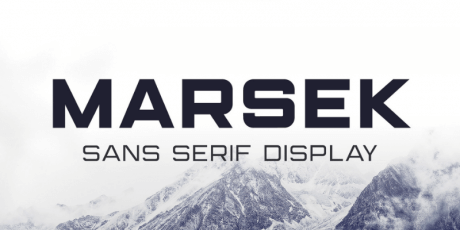 This font is a perfect fit for various display purposes like logotypes, badges, labels, headlines, banners, posters, prints and much more. 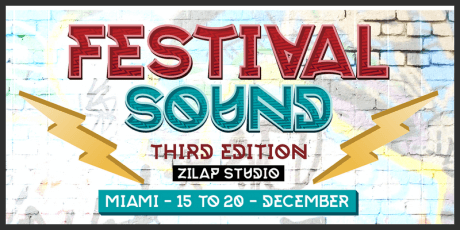 Designed by Behance user Alejo Bergmann, and it's free for personal and commercial use. 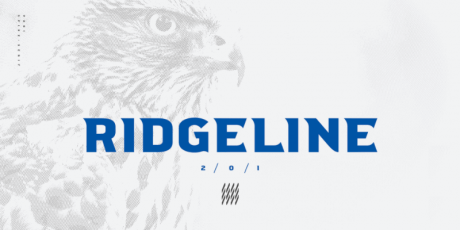 A cool font with an extremely heavy weight perfect for big titles, advertising, labeling, packaging and anything that needs a big impactful typeface. It also features multilingual characters and many unique glyphs and symbols for increased usability. 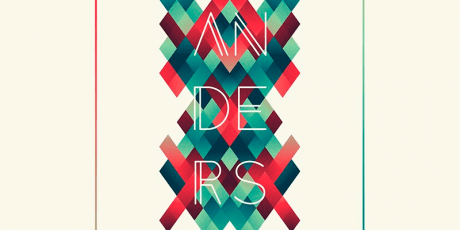 Created by Behance user Thom Niessink. 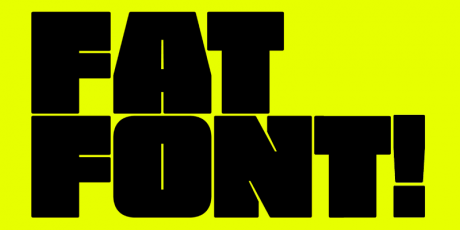 A sans-serif variable font based on the design and attitude of Futura typeface. It contains all-caps characters with 9 weights and support for over 50 languages. 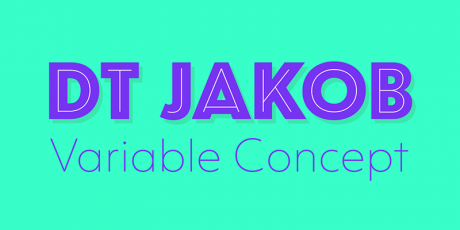 One of its main features is the use of OpenType variable font technology that allows you to precisely control the weight and italic angle of the font. 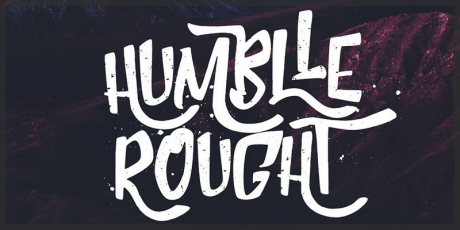 Created by indestructible type* team. 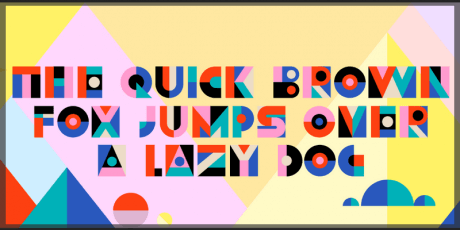 A rounded line art display font with a futuristic motif. It contains all-caps letters, numbers, and some special characters. 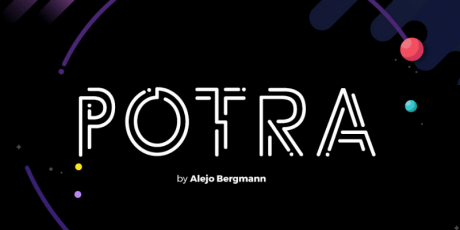 Potra is designed by Behance user Alejo Bergmann, and it's free for personal and commercial use. A sophisticated all-Caps display font, created to emphasize big headlines, titles, single characters and also short descriptive paragraphs. It comes in 3 weights; bold, demi, and light. Created by MOCOSANS Studio for Personal use only. 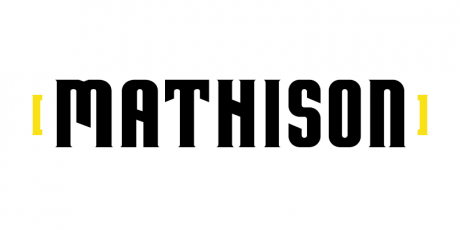 A grotesque slab typeface with an old-style art. It has 3 weights in TTF, OTF, and PDF file formats. 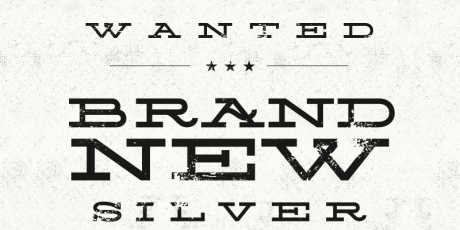 It's great as a display typeface but it fits perfectly the needs of branding and general print media. 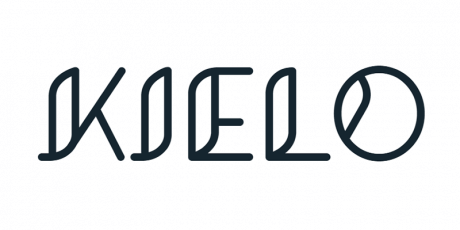 The font was created by Behance user Joël Maillot and it's free for personal and commercial use. 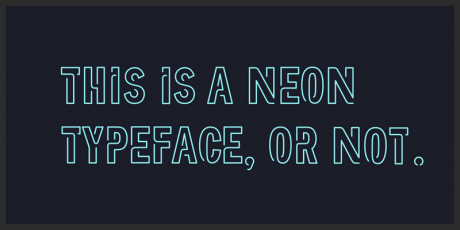 Neon One is a free font created by Brandspark. 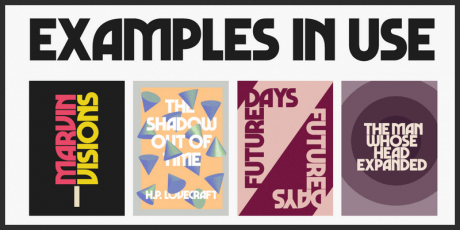 It features a stencil sans-serif design with softly rounded edges, and the OTF file includes full uppercase character set as well as numbers and basic punctuation, all with a classic outlined vintage neon style. Completely free for personal and commercial use! Colus is a beautiful & professional display font by Stan Partalev, designed with inspiration taken from inscriptions carved on wood and stone. 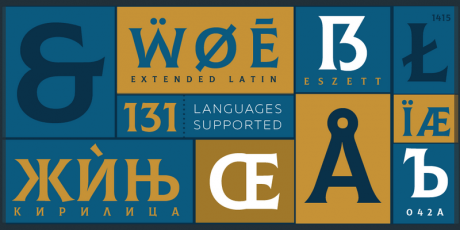 It features uppercase character maps for Latin & Cyrillic based script, with support for 131 languages, special characters, numerals, diacritics, etc. Frexus is a free rounded typeface with Latin uppercase characters designed in shapes and aesthetics reminiscent of Cyrillic script, designed by Kai Gehrke, a graphic designer with a focus on animation and motion graphics based in Hamburg, Germany. 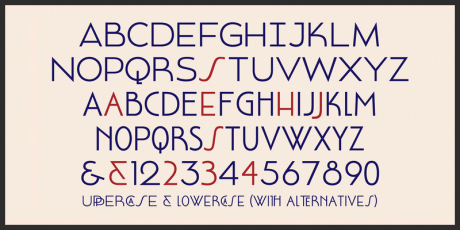 It features three weights – Light, Regular and Bold, and includes numerals and punctuation. Great choice for display purposes and headlines, events, posters, flyers, etc. Free for personal use, for commercial use of Flexus you'll need to contact the designer, Kai. 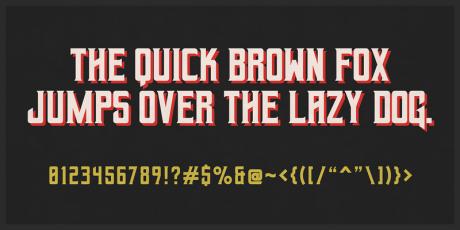 Geizer is a serif font inspired by heavy metal, horror films & fiction, and underground culture posters, with discreet serifs designed to give it a spooky vibe. 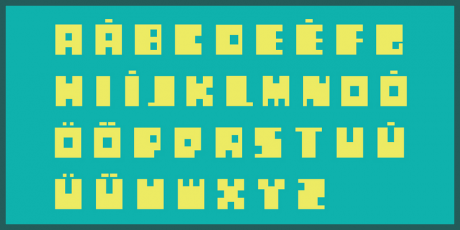 It features A-Z characters in all caps, 0-9, punctuation, and common glyphs, and is intended for headliners, titles, logos, and generally display purposes. 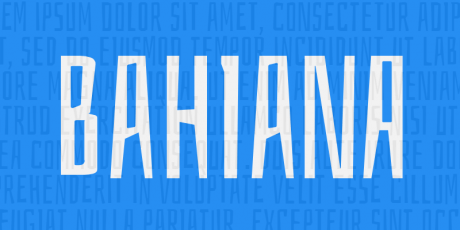 This font is free for both personal and commercial use. Scanned from a 1957 issue of Where Magazine by Behance user Jason Forrest, this font is a recreation of the distressed original type used for body copy on this publication. 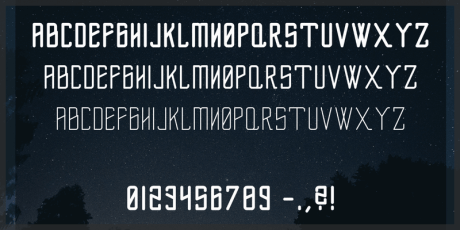 So far, 57 Futura includes uppercase characters, numbers, punctuation, and diacriticals, and it is completely free! Enjoy and have fun with it. 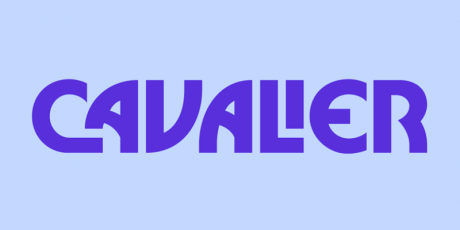 Anvyl is a typeface that blends soft curves with sharp edges, and somehow makes it work, an this approach gives it a great looking industrial sort of style. Great for display purposes, logos, etc. 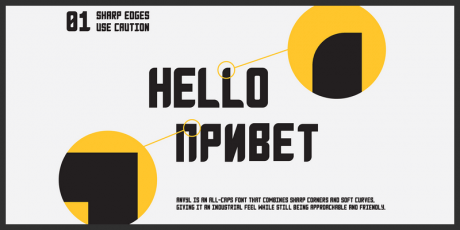 It features Latin and Cyrillic characters, numerals 0 to 9, basic punctuation, and a total of 213 glyphs. Collaborative work by Behance users Matt Cole Wilson and Dmitry Sivukhin. 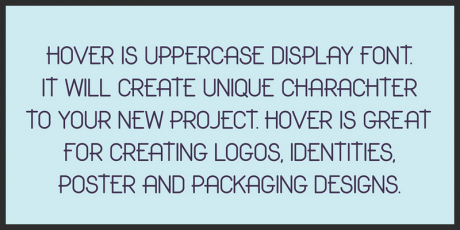 Hover is a great looking uppercase display font created by Wild Ones Design. It features a slick design, with a geometric construction and a medium/light weight. Includes basic symbols and punctuation as well as numerals. 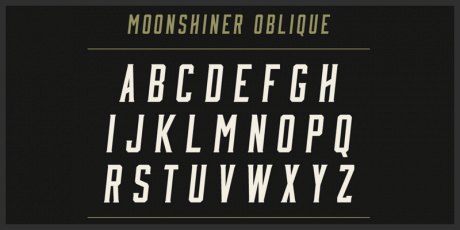 This versatile sans-serif font hand drawn by James Lafuente is inspired by old signage and possesses a great vintage aesthetic that can easily complement retro styled projects. It features upper case characters, numbers, and select punctuation that will work great in branding, badges, labels, apparel, headlines and much more! 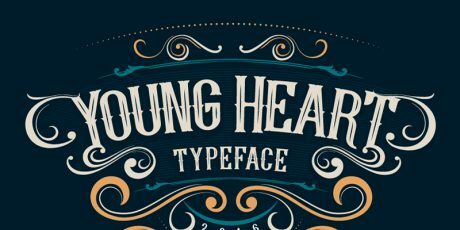 This is a great looking font to add a touch of elegance to your designs, released as a freebie courtesy of Graphic Pear. Made for headlines, titles, and other display purposes. It features basic lettering with the 26 characters of the Latin alphabet, numerals, and grammatical symbols and glyphs. 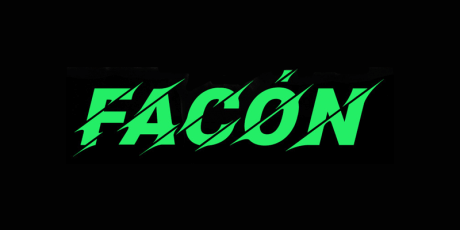 Marvin Vision, a revised version of the original Marvin font, its a great typeface for those looking to make a statement. 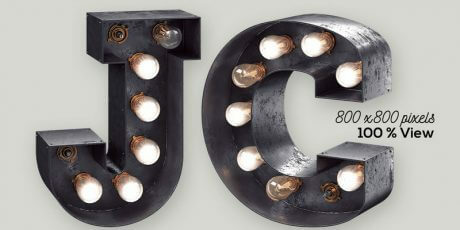 Bold, and uppercase only, its designed for Display purposes only, like magazine covers, headlines, and other such places. 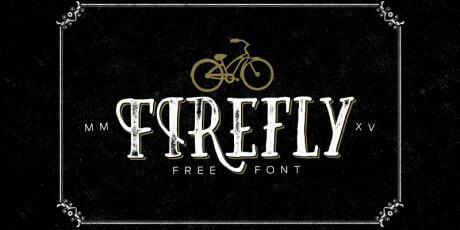 This is a free version of the full font family and is for personal use only. 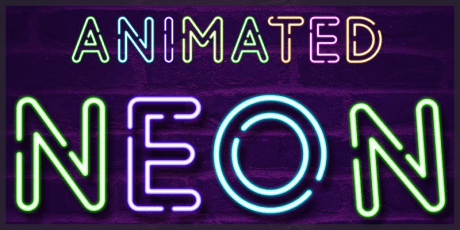 With an awesome vintage design and a high quality of detail, the Marquee Light Bulb Chaos Lettering created by TV ArtWorks feature highly detailed characters in a 3D perspective, and all 26 characters included come in 800x800 transparent PNG file format. 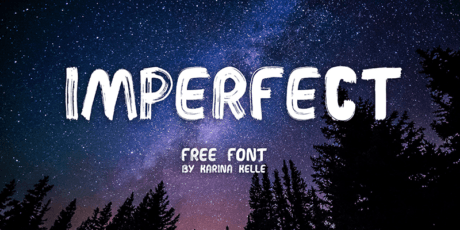 This is a freebie version of their full Bundle, which can be used for personal and commercial purposes (as long as the characters cannot be extracted in their original form from the finished project. 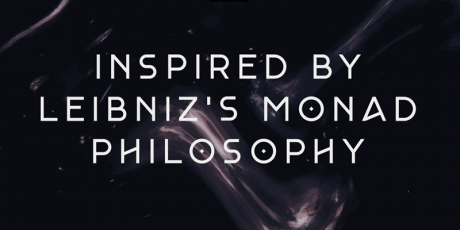 Monad Font is a nice looking, all caps typeface with some basic grammatical symbols included, inspired by Leibniz's Monad Philosophy. 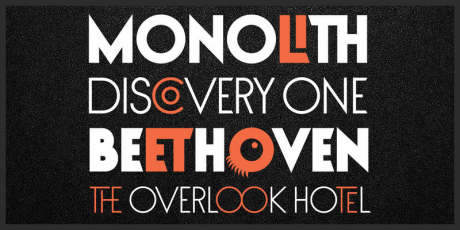 This typeface is under the CC Attribution NonCommercial ShareAlike 4.0 International license. Berg is a free layered font family from The Brosnes Design with an impressive amount of work poured into it. 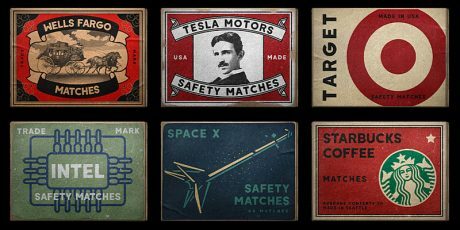 Inspired by vintage sign painting, posters, and labels, Berg has a sharp, professional design that makes it very eye catching, comes with 7 font files for Regular, Extrude, Inline, Shadow, Ornament, Western and Rough. It includes a full set of capital and lowercase letters as well as multi lingual support, currency figures, numerals and punctuation. 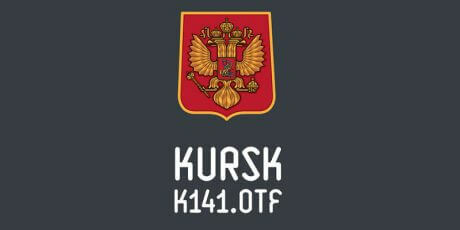 With an interesting background history behind its name -that of the Russian Navy submarine codenamed Oscar II by Nato- the Submarine Kursk Typeface Project by Behance user Jorge Dias is a bold, all caps font that supports both Cyrillic and Latin scripts. 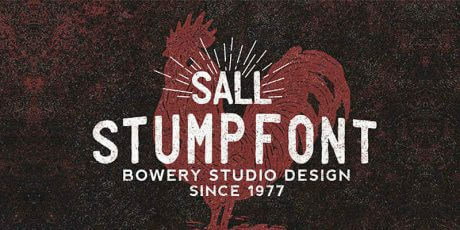 Stump is a complete font family with a vintage style and some grunge touches. 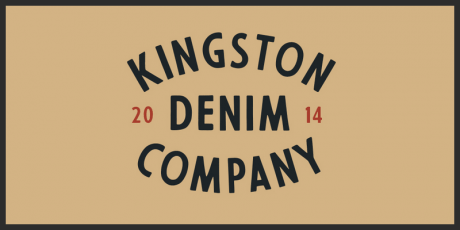 It can be used for headlines, print graphics, logos, badges, t-shirts and other designs. Use for commercial and personal projects. 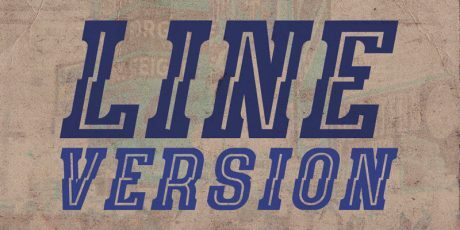 SpeedHunter Line is a font with an original and simple concept that is great for use in modern but at the same time for retro/vintage projects. Intro Rust is a font family that features 214 fonts included in 4 sub-families; Intro Rust, Intro Script, Intro Head and Intro Goodies. 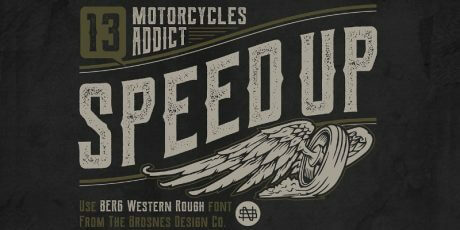 This font family was crafted in a vintage style and several textures making it suitable for plenty of projects. 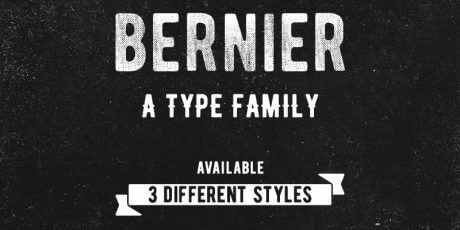 Bernier is a grunge font perfect for vintage designs. 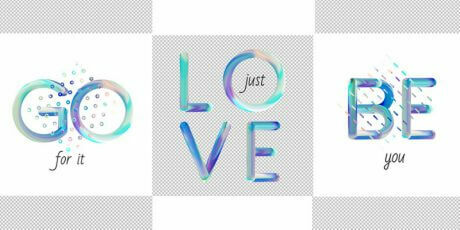 It fits posters, stationery design and it can be used for logos. It has three different styles, but it only has uppercase characters and numerals. It was created by Ryan Pyae. 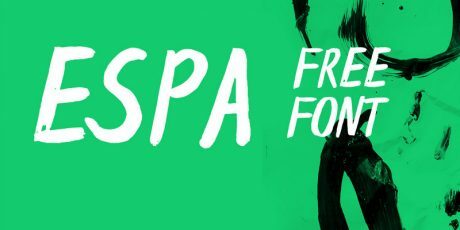 A free hand font made free by Sean Coady. 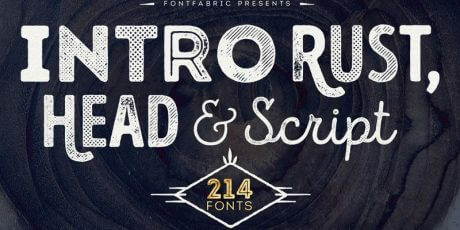 The font has a grunge appearance, being perfect for gigs and events posters and invitations. It has lowercase, uppercase, numbers and some special characters. 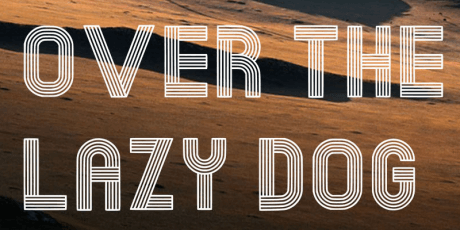 This font is free and comes as TTF and OTF formats. 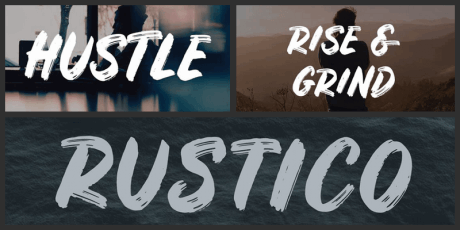 Great looking Condensed typeface by Dribbble user Mattox Shuler with 2 free weights (Regular and Obique) as well as one variation for each one of these. 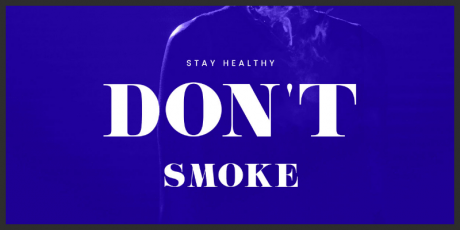 The Uppercase and Lowercase characters are both Caps glyphs with slight variations, allowing for a great, custom looking body copy, signage, headlines, etc. Also features basic punctuation and numbers from 0 to 9.